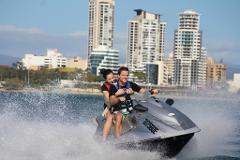 Enjoy a 1 Hour Jetski Guided Tour following our experienced guide who will set a thrilling pace weaving and zigzagging along the beautiful Gold Coast Broadwater. 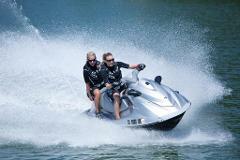 Price is per jetski and you can have up to 2 people on the ski. When booking please select per jetski not per person.